Hello friends! 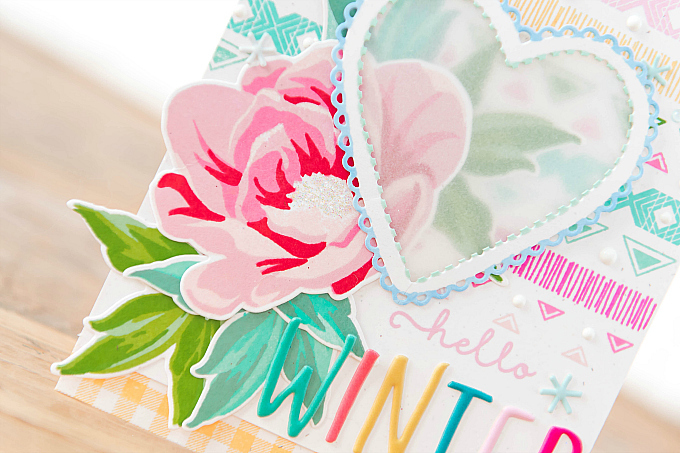 It's been a glorious, balmy Winter so far, and what better way to celebrate it than with cheery, colorful projects! 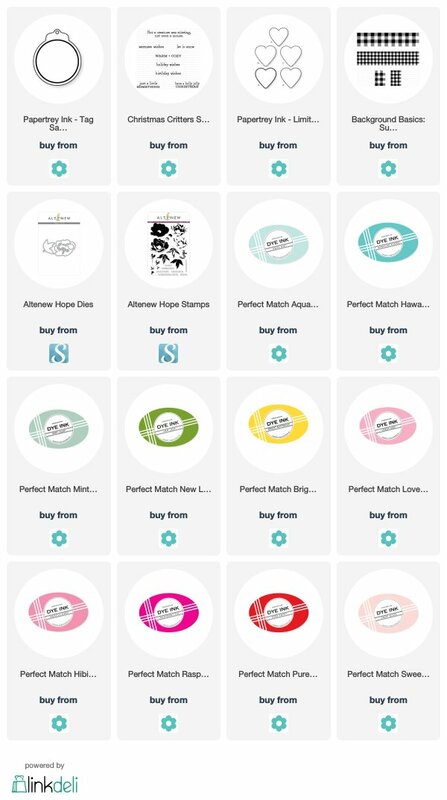 I'm sharing a tag and card duo today, created with lots of colorful accents, and many of my current favorite products. Come check it out! First up, I have a sweet tag to share. This little number was the quickest little thing to pull together! I colored the trees with my Copics while hanging around our kitchen island and then loved them so much, that I figured I had to use them. So I pulled out my Tag Sale dies, inked up the center a wee bit, and then added the beautiful snowy background with this lovely Altenew stamp. 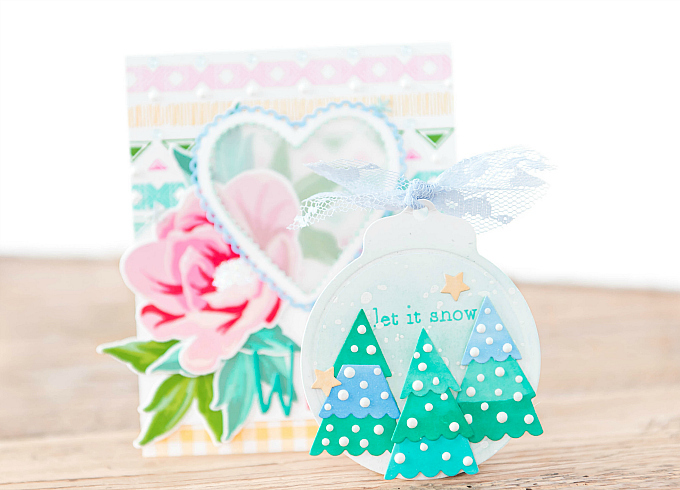 I added a sentiment from the Christmas Critters stamp set, and finished things off with a lacey bow and some Nuvo drops to mimic snow. For my next card, I was inspired by those chunky, colorful, geometric, winter sweaters from the 80's and 90's. You know which ones I'm talking about - the ones all over Benetton ads and worn by just about every 'cool kid' :) I remember when I first got one, I simply wouldn't take it off! It was also one of those clothing items that just grew with me...For better or for worse! ;) It might have been a tad big at the start, so as I grew, it always seemed to fit! Luckily, I outgrew it by my teens but the memories of that cozy little sweater that I loved so much, have stayed with me since! To make a sweater-like background I used PTI's beautiful Southwestern Style stamps (this set is retired, but any striped geo stamp will do). I alternated oodles of colors and even added some texture with Nuvo drops. For the center piece, I added a scalloped heart, cut with PTI's Limitless Layers: Hearts dies. I used my Copic markers to add some color to the outer scallops and inner notches, before cutting out the center, and adding a vellum window. I absolutely loved that all the cozy knits back then came with so many colorful details, and flowers were often added too! 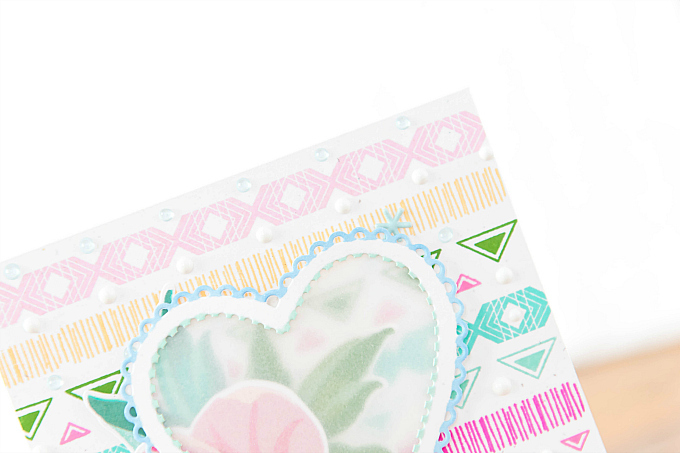 So I thought this gorgeous Altenew stamp was perfect for my theme! I used the Hope stamps and dies for this stunning flower, alternating my ink for a really dimensional look. At the bottom of the card, I added a strip of gingham, stamped with PTI's Background Basics: Gingham. I also had some fun puffy stickers on hand and decided they were perfect for my sentiment! I hope you've enjoyed today's post!! Thank you so much for your visits. 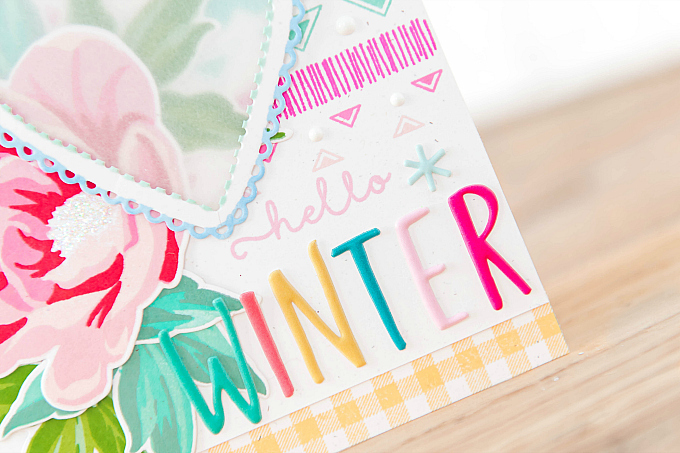 If you're enticed to make your own bright sweater card - share it with us, we'd love to see! 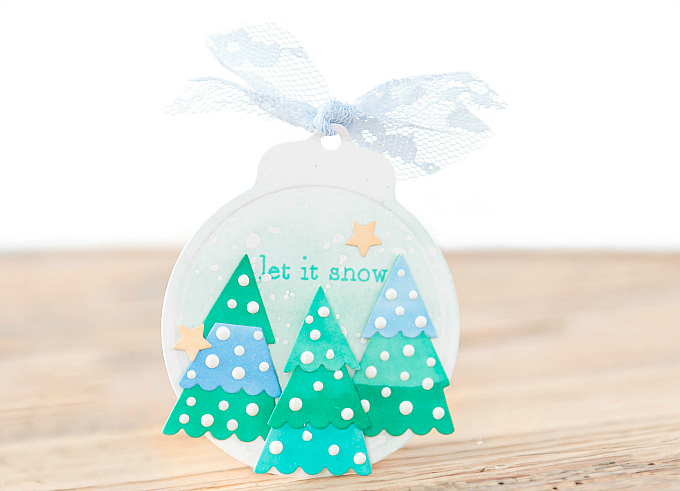 Those polka dot trees on your tag are simply delightful! And just took at your marvelous card. I like the playful mix of patterns and colors. Very pretty Ivana! The tag is absolutely charming, but it is your card that enthralls me. I love how you used Southwestern Style, completely changing its feel. 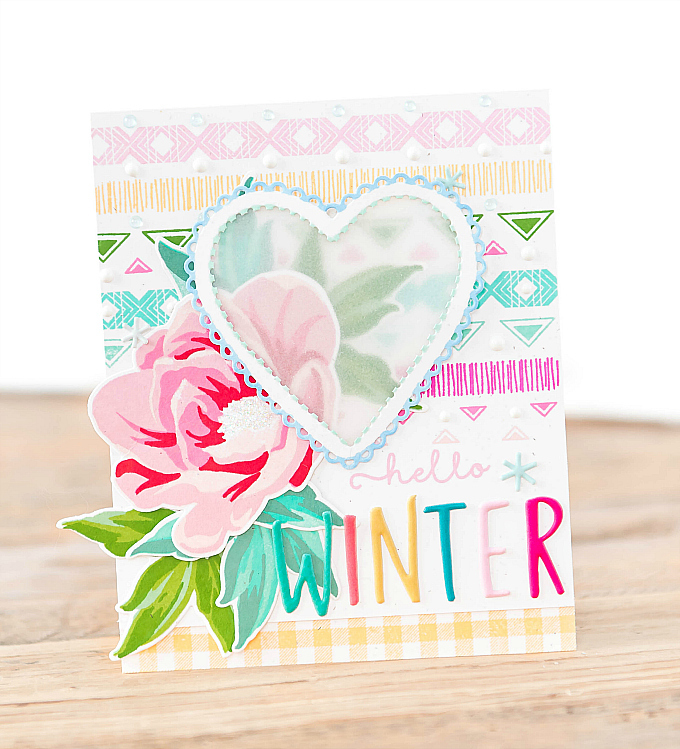 Thank you for the inspiration to pair that stamp set with girly colors, hearts and flowers. It is wonderful. Nancy, thank you so much! I love the SS stamp set, and it's even more fun all colorful and pretty! Thank you for popping by to say hi and for your sweet note. Sending big hugs crafty friend!